Electrical Tester PowerScan PS100 is the most revolutionary circuit tester to date. 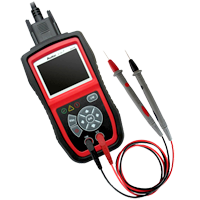 Featuring AVOmeter, test light, built-in flashlight, short circuit indicator, relay/component tester, continuity tester and bad ground indicator, the PowerScan is truly the ultimate in power and affordability, allowing users to check circuitry in one single step. An absolute must for every technician looking for a fast and accurate solution to electrical system diagnostics. 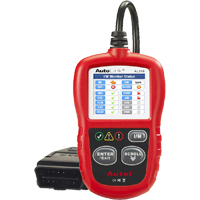 Autel AutoLink AL301 Pro is the most powerful, affordable and easiest-to-use tool for DIY acustomers. It enables the user to read and clear diagnostic trouble codes(DTCs) from the on-board computers of 1996 and newer OBD II compliant vehicles. It also provides VIN info and performs the task of (I/M) Inspection maintenance readiness testing by displaying the I/M readiness monitor status. 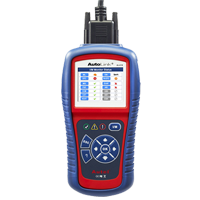 Autel AutoLink AL419 Pro the next generation of scan tools. Featuring the unique patented One-Click I/M Readiness Key, TFT color display and built-in speaker, the AutoLink AL419 is truly the most powerful and affordable code scanner ever available. Troubleshooter code tips guide technicians to the root cause of a trouble code faster, saving diagnosis and repair time. 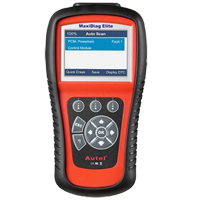 Autel MaxiCheck DPF Reset Pro is specially designed to carry out numerous functions on the Diesel Particulate Filter system. Based on AUTEL’s latest diagnostic platform, it will perform a forced regeneration, turn off the DPF light and reset ECU after the filter has been replaced, and reset the additive light after topping up. This easy-to-use handheld bespoke DPF tool is a good opportunity to increase your profit margin and customer satisfaction! 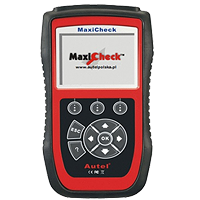 Autel MaxiCheck EPB Pro is specially designed for safe replacement and recalibration of brake pads on a growing number of vehicles with EPB systems. By disengaging the brake system, it increases safety with a push of button. NO need to use expensive OEM diagnostic systems to do the job makes the tool a time saver and a money maker! 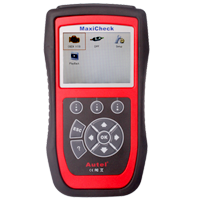 Autel MaxiService VAG505 Pro scan tool is an OEM level diagnostic tool for most VW/ Audi/ Seat/ Skoda vehicles sold worldwide since 1996. 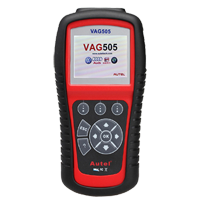 Using Volkswagen proprietary diagnostic protocol, VAG505 allows the user to access almost all the systems. 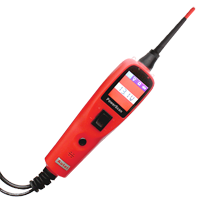 Small, robust, affordable and easy to use, it is the “Electronic Wrench” you should keep in your glove box! Code Scanner Autel Autolink AL319 Pro featuring the unique patented One-Click I/M Readiness Key, TFT color display and built-in speaker, the AutoLink AL319 is truly the ultimate in ease and affordability, enabling users to verify repairs, road test, check State Emission Monitor Status and solve basic engine and driveability problems. It eliminates drive cycle guesswork by notifying the driver with color codes LEDs, audible tone and dynamic all-in-one I/M readiness status. 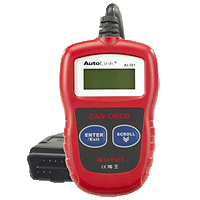 Code Scanners Autel Autolink AL439 Pro OBD II/EOBD Scanner supports all 10 modes of OBD II test for a complete diagnosis. Featuring the unique patented One-Click I/M Readiness Key, circuit test, starting and charging systems test, TFT color display, built-in speaker , the versatile, easy-to-use AL439 will streamline automotive service and help ensure rapid, accurate diagnosis and timely repair. Code Scanners Autel Autolink AL519 Pro OBDII/EOBD scanner supports all 10 modes of OBDII test for a complete diagnosis. Featuring the unique patented One-Click I/M Readiness Key, TFT color display and built-in speaker, the AutoLink AL519 is truly the ultimate in power and affordability, allowing users to do their jobs faster. In addition, thousands of troubleshooter code tips help technicians to save diagnosis and repair time. 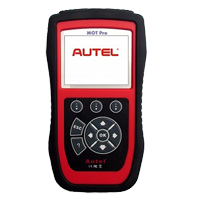 Diagnostic & Analysis System Autel MOT 908 Pro offers a new level of capability for the professional user, at a price that other tools simply can’t match. Highly functional, the MOT Pro provides 40+ manufacturer coverage offering diagnostics on the most common modules such as OBD, Transmission, ABS, AirBag, Electronic Parking Brake, Oil Service Reset, some TPMS, some steering control sensors, climate, audio and others. The MOT Pro works with manufacturers up to 2012 with our patented upgradable software. 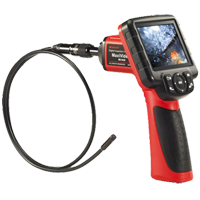 Digital Inspection Cameras Autel Maxivideo™ MV400 Pro digital videoscope is an ideal tool for examining difficult- to- reach areas normally hidden from sight. It features the ability to record digital still images and MPEG2 or MPEG1 videos either on its internal flash memory or on the removable Micro SD Card (Optional). 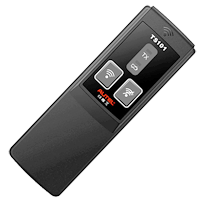 The ergonomic tool not only features a 3.5" full color LCD screen, auto focus and viewing capacity as close as 1" with crystal clear output, but also offers the capability to stream digital video directly to a PC. The Multipurpose Videoscope is an economical solution to inspect machinery, facilities and infrastructure in the safest, quickest and most cost-effective manner possible. MaxiCheck Airbag/ABS is specially designed to help you determine why the Malfunction Indicator Light or the ABS / SRS warning light is on. Based on AUTEL’s latest diagnostic platform, it will diagnose ABS / SRS problems, perform various bi-directional tests, provide troubleshooter code tips and turn off the ABS / SRS warning light. This easy-to-use handheld tool is a wonderful utility that can talk to your ABS / SRS system. 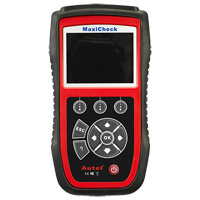 MaxiTPMS TS101 from Autel is a universal TPMS sensor activation tool. Simply press the activation button to activate tire pressure monitoring system (TPMS) sensors to reset or relearn the sensor ID to the vehicle. The TS101 can handle all kinds of TPMS sensors much faster and more accurately than previous devices. 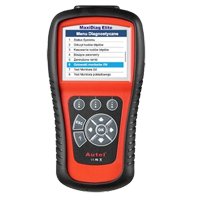 Professional Scan Tools Autel MaxiDiag Elite MD701 Pro Elite Series, the most advanced and multifunctional scan tools powered by its exclusive technology, are designed for technicians to troubleshoot either the basic four systems or all the systems for most of major vehicles on the road today. This new diagnostic platform delivers fast and easy diagnostics at the right price. 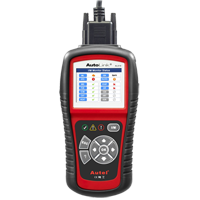 Professional Scan Tools Autel MaxiDiag Elite MD702 Pro Elite Series, the most advanced and multifunctional scan tools powered by its exclusive technology, are designed for technicians to troubleshoot either the basic four systems or all the systems for most of major vehicles on the road today. This new diagnostic platform delivers fast and easy diagnostics at the right price.